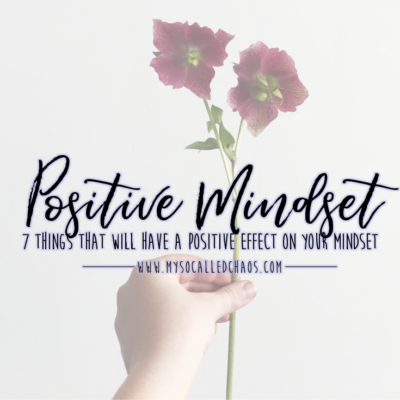 In case you missed the memo, Pinterest is easily one of the biggest places blogs are getting traffic from these days, and I’ve definitely seen it as one of the leading contributors to the traffic I’m getting here at My So-Called Chaos. Personally, I’ve even skipped trusty old Google to search for recipes and projects directly on Pinterest, now isn’t that crazy? 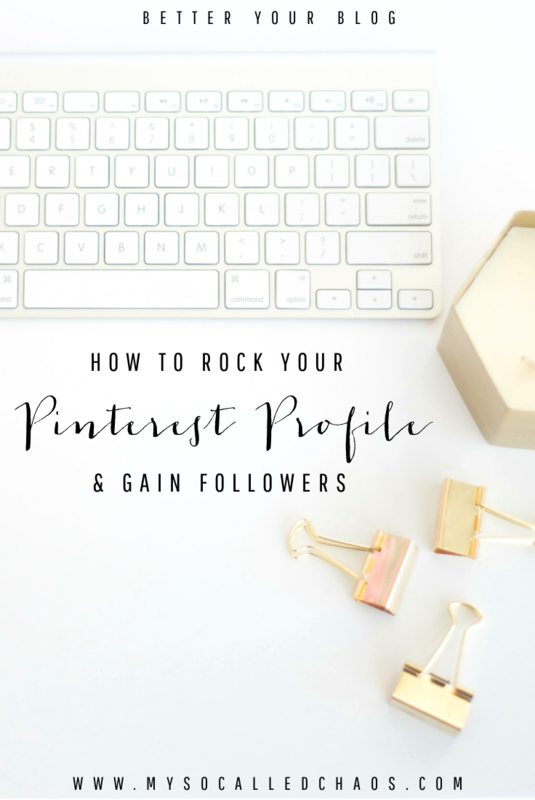 So if you don’t have a Pinterest account set up yet, you should really get on that, and if you do-it’s time to make sure that Pinterest Profile rocks peoples’ socks off. You’re going to want to set up a Pinterest Profile that not only shows off who you are and what content you produce and love, but that looks valid and professional as well. Make sure the username on your Pinterest account is in line with your branding elsewhere. Since my blog is My So-Called Chaos, I use @mysocalledchaos or mysocalledchaos for any social media account linked with the blog. Using your name also works, as long as your name is easily associated with your blog or shop. You definitely want a profile picture on your Pinterest profile that goes along with your branding. Whether it’s your logo, or a photo of you (I recommend using the same one you use for other social media associated with your blog or shop for good branding across all platforms), you want to be easily recognizable to your fans and followers by it. Your profile image should be square and at least 165px by 165px. As you can see from my image above, it’s the same one that is at the top of my sidebar here on the blog, as well as the same image I’m using for my profile images on the My So-Called Chaos Facebook page and my Twitter and Instagram profiles. It’s important to be easily recognizable anywhere. You want your followers to know who you are, so make sure you put a nice description describing who you are and what kind of things you’ll be pinning. This helps people decide if who you are and what you pin will be in line with them and what they want to re-pin, and you definitely want the right kind of followers re-pinning your content. This description is short, so don’t be too lengthy, but give a good taste of who you are and what you’re about. 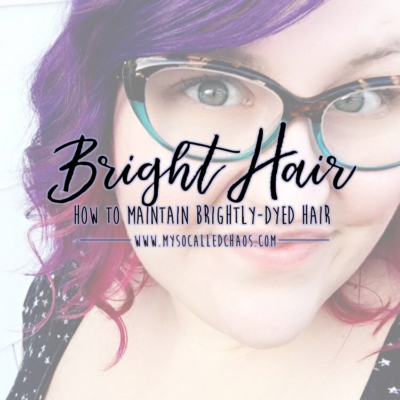 “Purple-haired plus sized blogger & creative” tells them they can expect some plus-size fashion and bright colored hair, and it also gives them a little indication of my personality. It also indicates that I’m a blogger and creative, and that this profile is associated with that line of interest. “New home owner” tells them that they can expect pins related to anything home-home improvement, home decor, etc. “and doggy mom to a rescue pitbull.” tells them that they can expect pins related to dogs and pet-ownership, as well as animal rescue and pitbull advocacy. “Wannabe photographer, artist” indicates that I’ll be sharing photography and tips for that, as well as art. “DIY junkie” indicates that they can follow me for DIY and crafty re-pins. This is important because sometimes local pinners will want to find other local pinners to follow, and also because brands and advertisers who may want to work with you often need to know this before they contact you. It’s all about the branding and the cross promotion. If someone likes your pins, they may choose to also follow your blog, Twitter, or Facebook page to keep up with more of you. Log into Pinterest at www.pinterest.com/login. Click on your profile image in the upper right hand corner then select Profile. Go directly to your profile URL at http://pinterest.com/YOURUSERNAME. Click Edit in the upper right hand corner. Edit your information and then click Save. If you are a blog, shop, or other business owner and your Pinterest profile is in relation to that business-you NEED to confirm your website. It looks better, and it allows followers and pinners to learn more about the site where the content they’re re-pinning comes from. It also helps your Pinterest profile really mean business, and it improves your SEO and rankings. For information on how to do this, see the Pinterest help article to Confirm Your Website. Considering that we’ve already discussed how visual Pinterest is, and how most people do go off of how visually appealing something is, you profile is no exception. Think about it like your Instagram account, you’ve probably seen articles and information on how having a good Instagram account flow (i.e. all the photos you share look good together-often due to using the same filter or color scheme), and I’m here to tell you that you should feel the same way about your Pinterest profile. 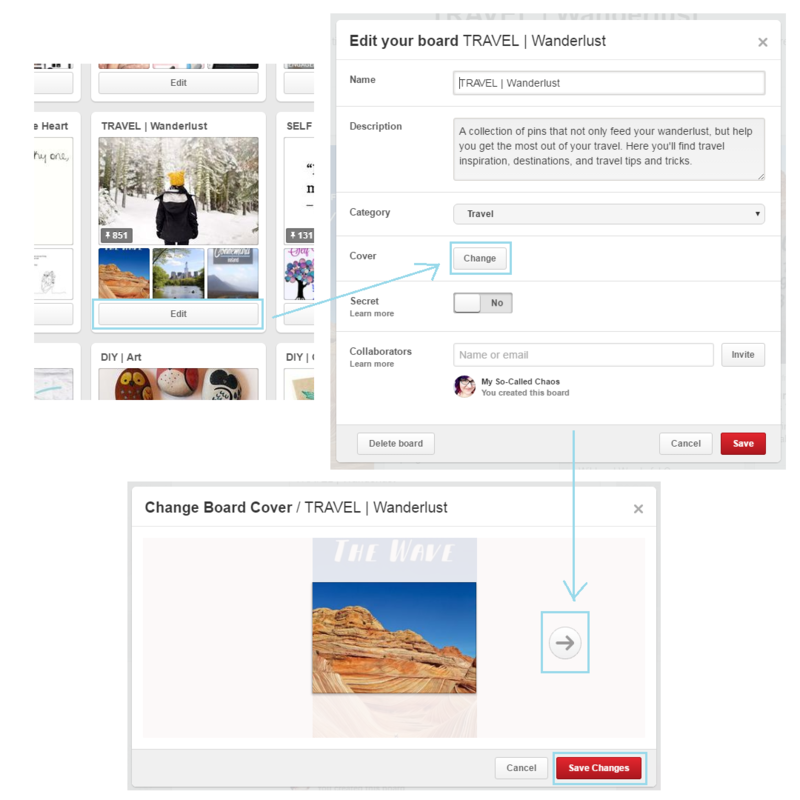 Upload a Branded Cover Photo to Each Board. 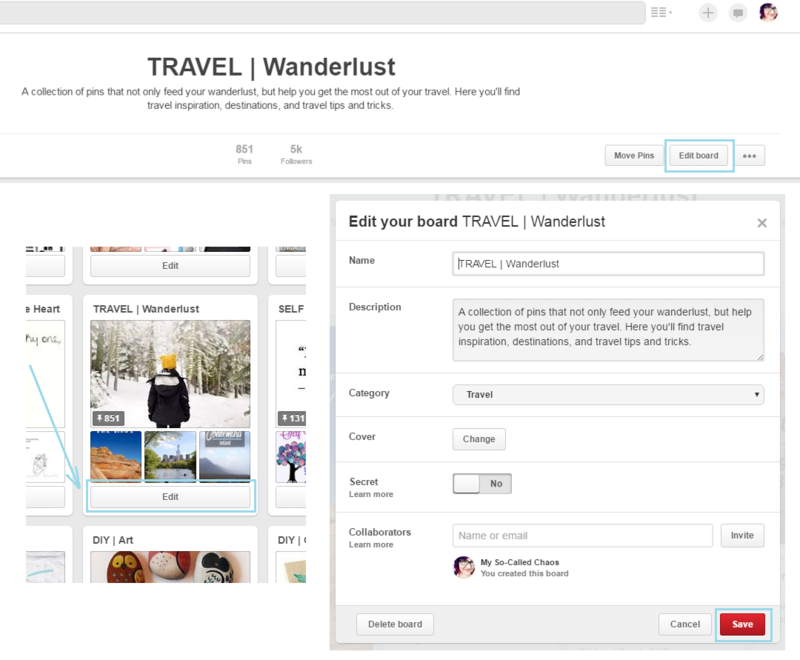 Pros: Your boards can match your blog/website’s branding or theme. All the boards look like they fit with each other. You have creative control over your boards. Cons: You have to create an image for each board and upload it (this is time consuming). If you don’t get the sizing right (which happened to me-even though I was going off of recommended sizes) your images/text can look blurry. It can look too similar sometimes. Also, if you ever change your blog/brand theme, you’ll have to do this all over again. Pick a Theme for Your Cover Photos and Choose a Pin from Each Board that Fits it. Pros: Less time-consuming, shows variety, and gives an idea of what’s in the board. Cons: Can’t always find a pin that fits your “theme” or “look” and it’s not really branded. This is the one I’ve gone through. 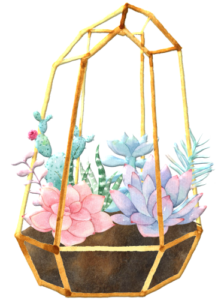 I tried uploading branded images to each one and they just didn’t look right (they sometimes look blurry, even when you go with the recommended size). So I chose a theme similar to the theme I’m doing on Instagram-crisp, bright, white, and colorful. See, don’t you want to follow them? They’re so pretty! Whichever option you choose, I would recommend that you still keep consistent with your board title styles as well. If you look at the example that shows my boards, I’ve set up a theme where I show the topic in caps, then a separator, and finally a sub-category or description in regular type. I like this since I do a lot of boards that fall under one category, for example: RECIPES, but have sub-categories like Desserts, Drinks, Breakfast, etc. So they look like RECIPES | Breakfast, RECIPES | Sweets, RECIPES | Entrees, etc. Other examples are shown above, like Dana of Wonder Forest above, and how she does hers in caps but with spaces in between like B L O G G I N G, B U S I N E S S, etc. It just contributes further to the look and feel of your profile. 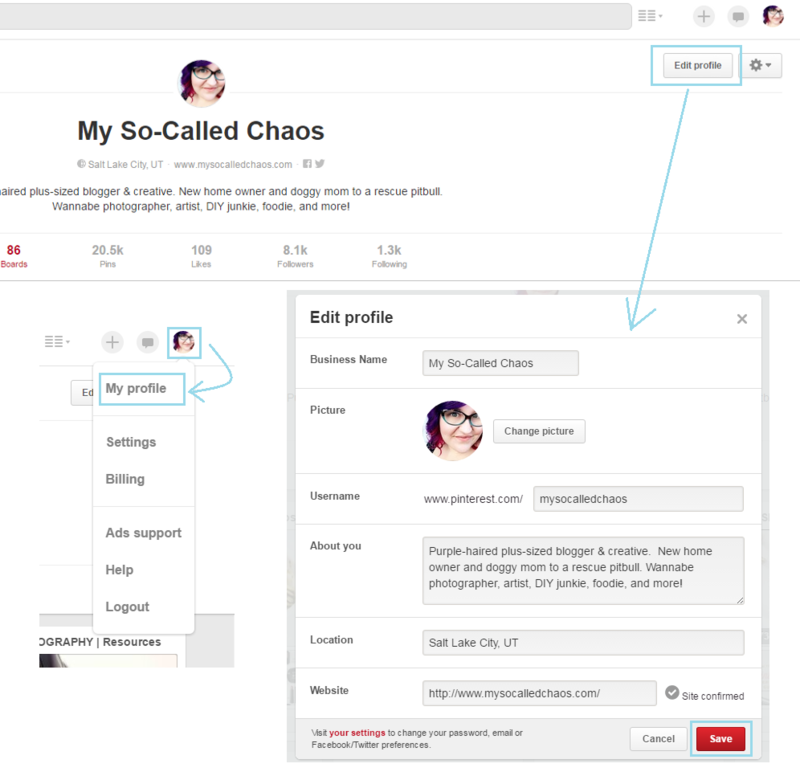 From your Pinterest profile, click Edit under the board you wish to update. In the Edit Your Board screen, next to Cover, click Change. Use the arrow to scroll through your pins and choose the one you want to use. If you wish to use a custom image as seen in the first method, you’ll need to upload or pin it first so it’s in your board. Once chosen, click no the image to move it up or down so the part of the image you want seen is shown. Speaking of boards, let’s talk about yours and what we can do to make them better-after all, they’re an integral part of your Pinterest profile. How many boards do you have? 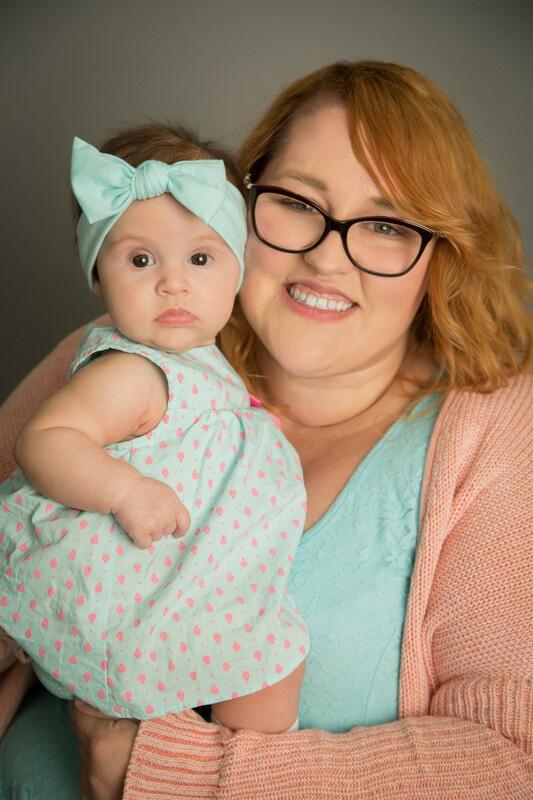 Chelsie of Hey There, Chelsie attended a blog conference and shared what she learned from a Pinterest Ambassador who was speaking there. She said that on average you should have around 30-35 boards. Any less than that may not provide enough variety, and any more than that could be making Pinterest much harder on yourself as you pin and manage these boards. I have 86 boards currently, and that’s after doing some major editing and bringing it down from about 100+. While my Pinterest is currently still under construction as I work to clean it up and make it better, I’m not too worried about having more boards than average because I am a very active Pinterest user and I have a wide variety of interests. Plus, I like to keep things a little more well-sorted by breaking down the categories I mentioned before. Still, I have some cleaning up to do. This was one of my favorite pieces of advice-and I’ve been very successful in having a board that’s specifically for my own content. I just pin posts from the blog directly into that board. 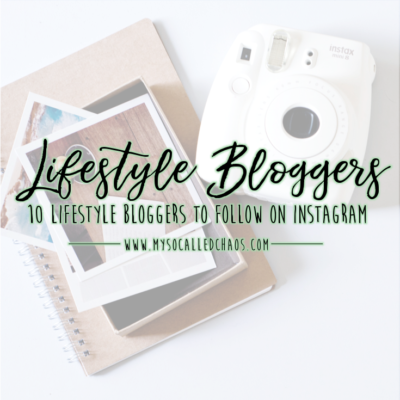 It’s great, because if someone wants to follow my blog but they don’t really use something like bloglovin’ or RSS, and they don’t necessarily want to follow all of the boards I pin to, they can follow that one board and keep up to date on my content. It also gives me a nice place to send anything and everything in relation to my blog, and I pin stuff there that talks about my blog or myself on other sites as well. Keywords are so important on Pinterest, so make sure you are using them when creating boards and editing their categories and descriptions. When I first started using Pinterest my boards had fun names like “It Has Been Said”-which was a board full of quote images, and “Matters of the Heart”- which was a board full of things related to love and heartbreak. However, these didn’t serve well for people to find them and follow them, even the people looking for that kind of content specifically. So, in my updating, they were changed to “QUOTES | Life” and “QUOTES | Matters of the Heart” so that people who are specifically looking for quotes can find them. As you can see in the board above, it’s all related to travel-so I’ve added travel to the title and the description, as well as the word “Wanderlust” as it’s a well-used term with travel junkies and people dreaming of far off places. I’ve also used key words such as “destinations” and “inspiration” in here for people looking for those kind of things. I only pin travel and destination content to this board. It’s also set to the Travel category for people who are searching via category. 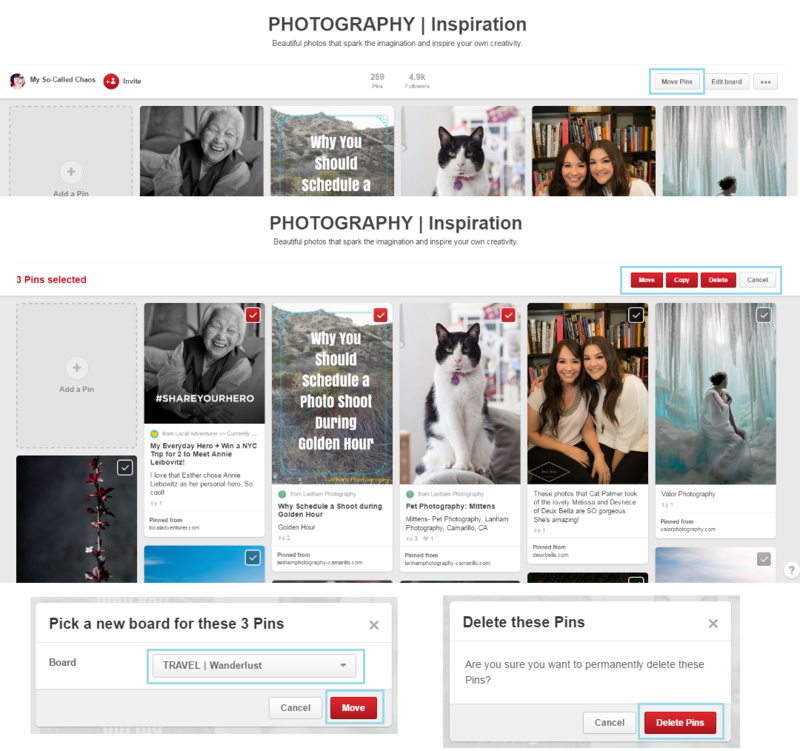 Optimizing your Pinterest Boards with SEO keywords is SO important! Log into Pinterest and access you profile to go to the board you wish to edit. Click Edit under the board you with to change. Click on the board you wish to change then click Edit Board from the upper right hand corner within. Fill out the Name and Description. You can also add collaborators here if you want other people to be able to pin to this board, and you can set it to Secret if you wish for no one else to see it. However, the point of this article is to have people follow you and build a following on Pinterest, so I’d recommend not making it secret unless you don’t want your followers to see it. Chances are, if you’ve been using Pinterest for a while without paying much attention to most of what we’re talking about here, you have lots of boards that you want to delete without losing the pins in it, or that have the wrong pins for the category you’ve updated it to. Luckily, Pinterest made this easy by giving us a “Move” button which allows you to select multiple pins at once and move, copy, or delete them. This will make it super easy for you to run clean up on your boards and make sure the content in them lines up with the category. From the board you wish to alter pins in, select Move in the top right. Select the pins you wish to move, copy, or delete by clicking on them. A red check box in the upper right hand corner of the pin means it’s selected. A clear check box in the upper right hand corner of the pin means it is NOT selected. Select the option you want to utilize-Move, Copy, or Delete-from the upper right hand corner. Move will ask you to choose a new board to move the pins to. Once chosen, click Move to complete. Copy will ask you to choose a new board to copy the pins to. Once chosen, click Copy to complete. Delete will ask you to be sure that you want to permanently delete the pins, click Delete Pins to complete. Once you have everything set up like you want it, you’ll want to start pinning and also keep up with maintenance on your boards and pins to ensure everything keeps looking good. Here are some things to think about, and ways to keep up with it properly. I’ve heard the term “pin with intent” thrown around a lot, and I couldn’t even begin to tell you how important it really is. When I was first promoting and working to build my boards up, I pinned everything with little thought other than where to place it. Can you imagine the pain that came with cleaning up years of pinning willie-nillie? Yep, that’s why it’s taking me so long to update my Pinterest account, but it’ll be so worth it when it gets all together. If I can catch you now and press upon you the importance of pinning with intent before you get too far in I can save you the trouble. Basically, if you’re pinning with intent, you’re paying close attention to what you’re sharing with your followers. It means that you’re pinning and re-pinning content to your Pinterest boards that not only fits your Pinterest account style, theme, and overall focus-but that looks good and is something you actually want to promote. Your intent will be different from someone else’s, so you need to make sure you know your own content and figure out what you’re willing to associate with it. 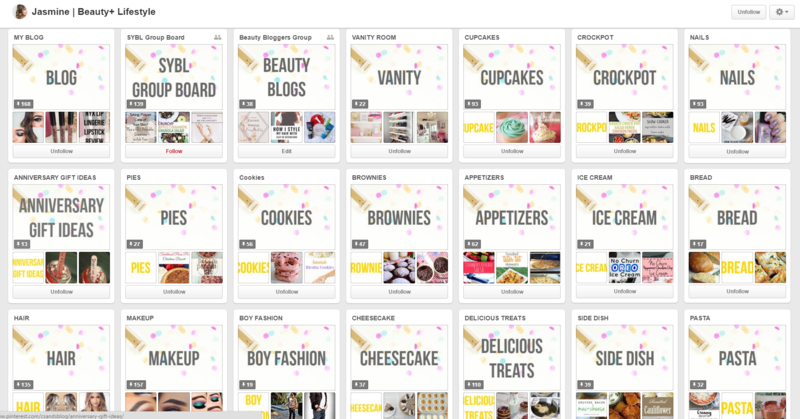 Think about the blog or shop that you are associating your Pinterest account with. 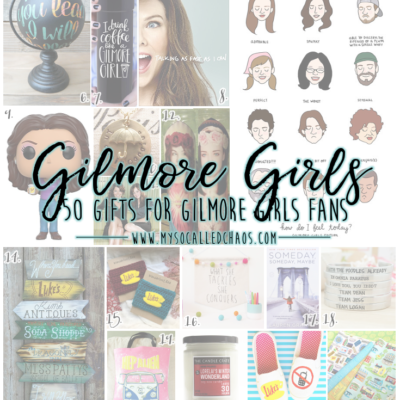 What kind of things do you blog about or sell on your website? You’ll want to keep your focus around those things. It’s okay to have a few different boards that don’t totally fit, but they should still be kind of related. It’s also okay to have a different personal Pinterest if you want that you can pin anything to, but the main Pinterest account associated with your site should be in relation to it’s content. Your followers follow you for that content, so they expect similar from any accounts they follow you on that are in association with your blog or website. 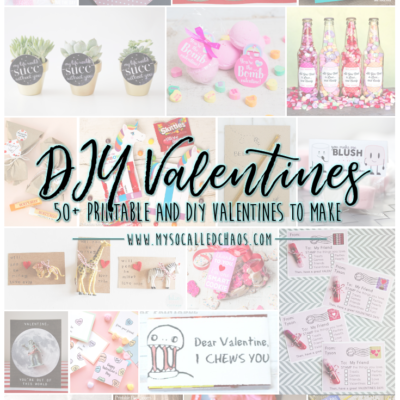 If you’re a DIY or Craft blogger, pin stuff like: DIY tutorials, handmade goodies, crafty tips and tricks, recipes, etc. If you’re a Fashion blogger, pin things like: Other outfit posts, clothing and shoes you love or want to buy, beauty products, etc. 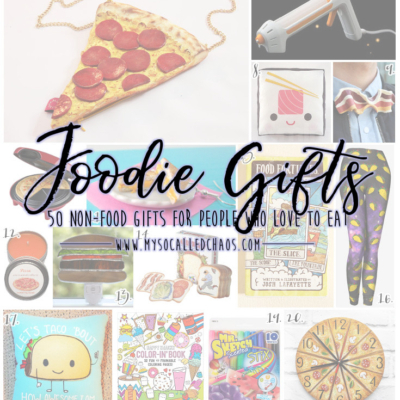 If you’re a food blogger, pin things like: Recipes, kitchen tools and useful items, restaurant reviews, kitchen makeovers, etc. 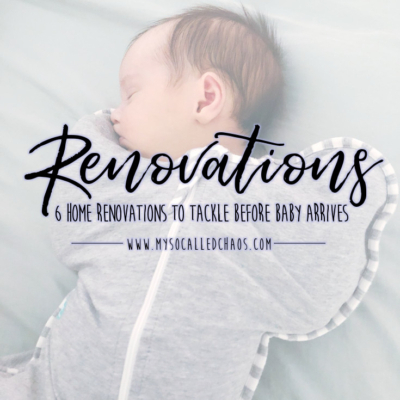 If you sell baby clothing, pin things like: Baby food recipes, other baby products, nursery makeovers, etc. 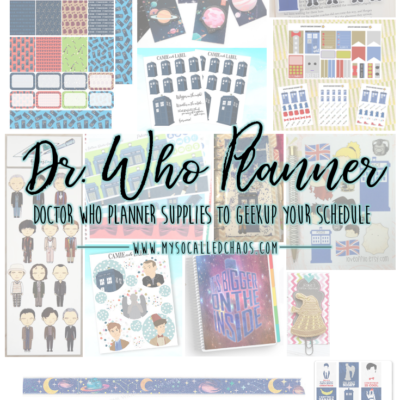 If you sell paper products, pin things like: Pretty stationery, paper crafts and tutorials, planner supplies, etc. Etc. and so on, you get the point. 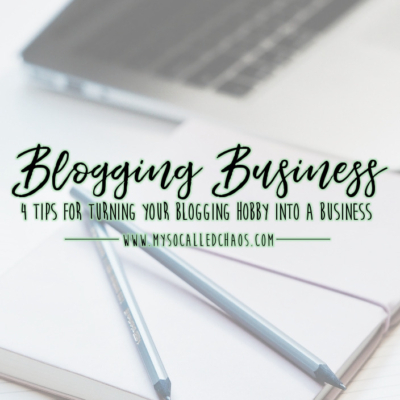 If you are a lifestyle blogger with a wide array of things you blog or talk about (like me), you may have a lot more room for differing boards and focus, but you’ll still want to narrow it down a little so as not to overwhelm your followers and yourself. What the Pin Links to: Some pins on Pinterest look great but don’t lead anywhere, so I’ve taken to double checking pins by clicking on them to make sure they go where I want them to go before I share them. It does me no good to have a beautiful pin about how to make chocolate dipped waffles, but then when you click on it the link is dead or it just links back to the image. What the Pin Looks Like: I have taken to mostly only pinning vertical pins, with the occasional square or wide one thrown in very rarely. Vertical pins just look the best. I also pay attention to the quality of the pin-it needs to be large, clear, and visually appealing for me to share it. Where the Content Comes From: I also like to double check where my content is coming from so I don’t pin something from a site I don’t want associated with me. 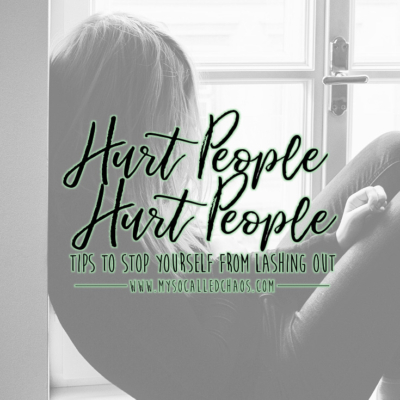 This can be tricky, since sometimes a site will post one thing you agree with, but when you look at their other content you find it morally repulsive or tacky-just be careful who you align yourself with. When you are pinning your own content, don’t just pin it once and be done with it. If there are multiple images, pin a few of them to your personal blog board, but make sure you spread them out so you can catch people at different times of the day. You can also pin old posts again down the road, or pin to other boards, etc. This keeps your older content fresh, and brings more attention to your posts. 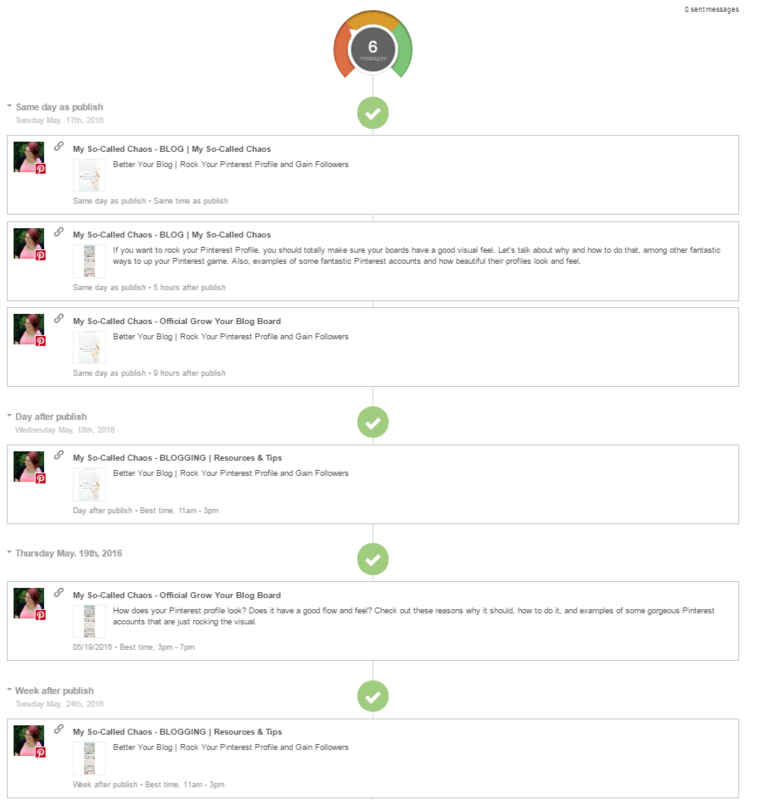 I use CoSchedule to schedule out multiple pins directly from my content-and it’s wonderful. I can schedule days, weeks, months in advance, or several per day, etc. It even has a new option that allows me to select “Best Time” for posting, and it checks my Social Media to make sure it will share at the optimum time for interaction. CoSchedule allows me to even schedule pins with pinnable images not included in the post-and for this very post I’ve created a few other shareable images that I don’t intend to include in the post visuals, but I want to use them to promote the post repeatedly over a few weeks. 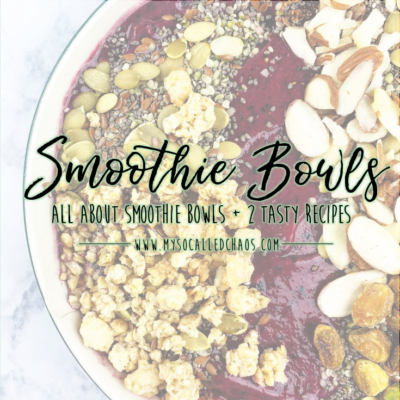 I have three different boards that I can promote this in, the one for my personal blog, my Blogging resources board, and the Grow Your Blog group board for our Facebook group. I’ve set this up to pin once to each with the main pinnable image, and then once to each with a secondary image I created using the examples of good visual accounts above. Before I post this post, I’ll go in and add the Facebook, Twitter, G+, and other shares here too. My new favorite thing in the world is scheduling pins and re-pins. You’ll want to figure out a schedule and stick to it, so that you’re pinning consistently, but not too much. Personally, I’m such a big pinner that my schedule has come down to one pin per hour at varying times to catch different followers when they’re active. This includes my own content, and content I’m pinning for others, though I do occasionally break the mold and pin a few things not within the schedule when it’s required or when I just need to save it and don’t have time to work it into the schedule. At any given time I’m about four days to a week in advance scheduled out. I’ve heard really good things about both BoardBooster and Tailwind for re-pins, but have yet to use either thoroughly. (Those links are affiliate links and offer a free month if you sign-up through them.) Personally, I use CoSchedule which doesn’t really do the re-pin thing like the other two, but I’m already paying for it because of the editorial calendar and scheduling options directly from within my posts so I have been hesitant to sign up for any other paid options. You may not know this, but deleting old pins actually tells Pinterest that you mean business and want to be a valuable pinner. It’s a good strategy for a lot of reasons, most of which you can read from Sarah Titus’ article 9 Reasons You Should Be Deleting Your Pins, but also just because you have a lot of old pins hanging around. I’ve recently gone through my boards as I consolidated and cleaned them up and deleted any pins with broken links, or that I didn’t like the look of, wouldn’t ever use, and that no one was re-pinning. 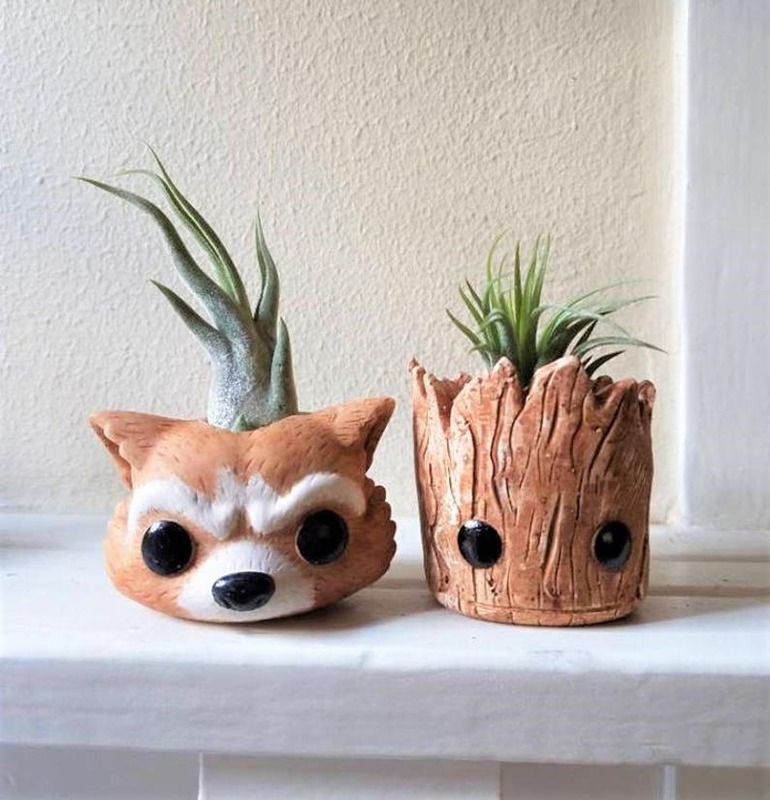 How Are You Rocking Pinterest?